Bulletproof and lightweight way to keep hydrated on the go. I've had a 3L Hoser for about 3 years now. I'll start with the one drawback: It's tough to get much water in it from a non-flowing source of water, but this is easily solved by pouring water into it with some other container. Filling it from a flowing stream is cake. 2. There's no overly-complicated sealing mechanism prone to failure (Platy Big Zip and others). I like the 3L size. I usually hike with 2L of water at the most, but filling it all the way when I get to camp is usually enough to get me through the night and into the next morning. The bite valve is easily removable (but does not come off accidently easily), which makes for very easy, quick, and accurate pouring. The bite valve does accumulate a little dirt on the inside over time, but it's never caused me a problem, doesn't affect the taste of your water, and doesn't bother me. I don't have much else to say. I've used it for every outing for 3 years and it has done nothing but WORK, and work well. Also, it's light. The tubing might be the heaviest part; I found it to be a little on the long side and cut a few inches off it. Thanks for the review of your Hoser, Gator! I have both the 2 and 3 liter versions and I love them! 2L holds just right amount of water for me on a strenuous 8 hour hike. Playtpus bladders don't impart a taste to the water inside — even when water is left in for 3 days. For a through drying after use, need to be conscious of how you position it. Is difficult to wash the inside. I have both the 2 and 3 liter versions and I love them! 2L holds just right amount of water for me on a strenuous 8 hour hike. 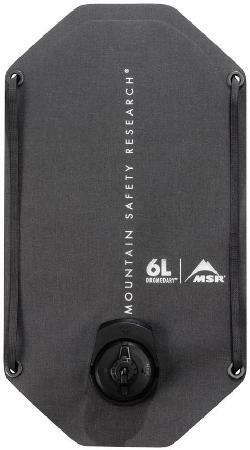 I got the 3L version when I went on an overnight trip where no potable water was available at camp. I've accidentally frozen the 2 liter during extreme winter activities (temperatures of -25°F), but it thaws easily enough without damage to the plastic. The bite valves are still pretty tight after 1 year of use (used at least once a month, every month). I tend to put stuff down on top of the bite values of my hydration bladders though—causing them to leak via being open—so I bought 1 Bite Valve Cover from Playtpus which works great (recommended accessory). The cover was an easy install to do. The hose from the 2 and 3 L versions are the same so I can easily swap the hose with the cover over to the bladder I want to use. Playtpus bladders don't impart a taste to the water inside, even when water is left in for 3 days. I haven't tested it any longer then that. There are volume measurements imprinted on the bladder so you can tell how full it is/how much you drank. Filling: it doesn't matter how full it is but to get the best results (no sloshing inside the bag as you move around with it), squeeze as much air out of the bladder as possible before putting on the cap/hose. Bladder is clear so you can easily see the water line. As I've said, Playtpus bite valves are tight so one doesn't need to blow air into the bladder after drinking to prevent leaks (yay for no sloshing!). First, it is annoying to dry the bladder after use. I live somewhere where you worry about mold growth in even mildly damp places so a through drying is important. I found that if you blow air into the bladder and shape it with your hand so it stays open, you can get it bone dry inside, even at the seams (see picture). Second, it is difficult to clean inside the bladder if needed. In Alaska, the water is very hard and mineral stains are left behind after every use. I know it doesn't affect the taste but I would like the option to easily wipe the inside down (Platypus does sell a more expensive, easy clean, large mouth bladder if you want this option). In the backcountry, if I fill the bladder with filtered water, I want the option of cleaning it easily with soap when I get home (I know, I'm paranoid). Because I desire to clean anything in contact with backcountry water with an involved process detailed below (filtered or unfiltered), I don't want to use it with my filter (so I carry 4L of water each overnight trip and a lifestraw in case I need to drink from some outside water source). My initial clean used a *very* small drop of soap in a half full bladder. Cover hole and shake until there are suds. Drain water through hose until there is very little water left, then rub the insides of the bladder together to get anything unwanted off the bladder sides. Run clean water through the bladder (out through hose) about 10 times before use. Great review, Christina. Thanks for sharing it! Got any pics of your Hoser to share? Thanks for the update and picture, Christina. Great reservoir, no taste or smell, and no leaks. I've been a hiker for a while now and have always used a simple Nalgene bottle, but finally gave in and purchased this 3L Platypus reservoir to go in a reservoir compatible day pack I already owned. My first issue was that the sleeve in the day pack was too small for this enormous water bladder. Once I got it situated in my pack and routed the hose I was all set. The advantage of course is that when I want a drink I don't have to try and contort myself to reach for a side pocket and the Nalgene bottle, I can just pop the hose into my mouth and bite down to get a drink. Now on to reviewing the actual reservoir. 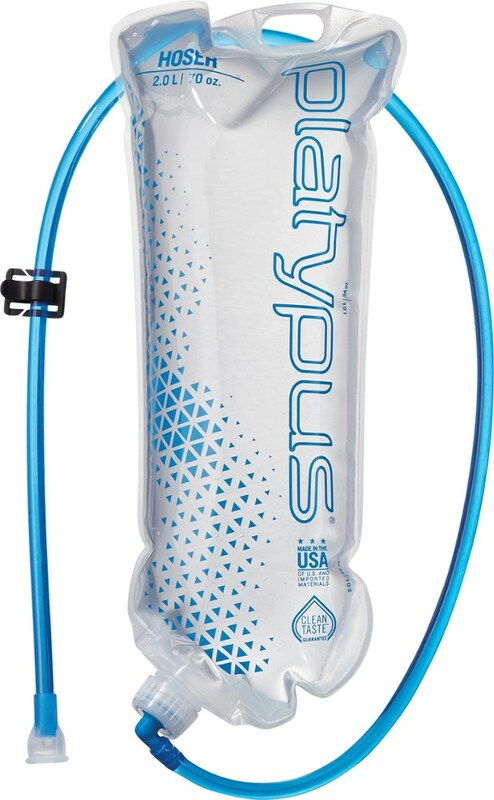 The Hoser is a lot like all the other water bladders on the market, it has a large size bladder, is made of BPA free plastic, and does not impart a taste to the water you've stored in it. I like the larger size of the Hoser which at 3.0 L is one of the larger ones. It does make things difficult when getting it into your pack but the nice part is that I only have to fill it once, and maybe carry a single Nalgene bottle as a spare depending on the hike distance and environment. There were only two issues that I've run into with this bladder. The first being when you fill it up. The opening for filling the bladder is a bit small (about the size of a plastic water bottle cap) which makes it difficult to completely fill the reservoir. And cleaning and drying the unit is also affected by this same issue. Once you are done using the bladder and are ready to clean it and put it away you have to contend with the same small opening. It can take days for me to completely dry out the bladder so I can put it away. I have tried coming up with different tools to prop open the bladder but inevitably there is always a bit of moisture still inside that stubbornly doesn't want to evaporate. Most recently I decided to try freezing the empty bladder and leaving it in the freezer until I need it next. We'll see how that works when I go on my next hike. On the plus side of this bladder, I like the design of the bite valve. It takes getting used to as you have to bite down just right to get the water to flow, but I have never had an issue with leakage. Also, I've hiked with several friends who have competitors products and at least once a hike someone has a problem where their reservoir leaks in their pack. I have never had an issue with the screw on filler cap leaked. I have seen on some of the competitor models with the larger opening that they don't always seal as well. 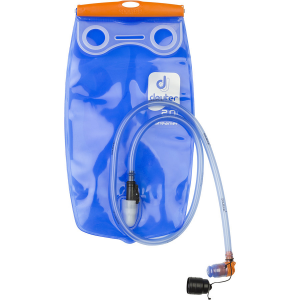 This unit has a small 'loop' at the top which you can use to clip the bladder into a pack and there is a metal clip on the hose so you can position the bite valve for easy access. 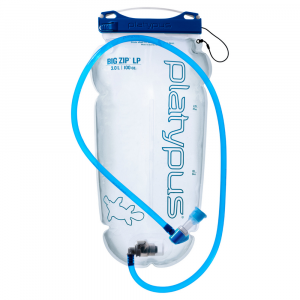 There are also a variety of accessories offered by Platypus such as an insulating sleeve for the hose. I have found once or twice that if left unprotected on a cold weather hike the hose can freeze up and then the bladder is useless. All in all this is a great product if you are planning on doing long hikes where there is a limited supply of fresh water. Because of its lightweight I carry this for additional water to have in camp. I leave the hose at home and just carry the cap. It's great for getting an additional 3 Liters of water for cooking, cleaning and personal hygiene. 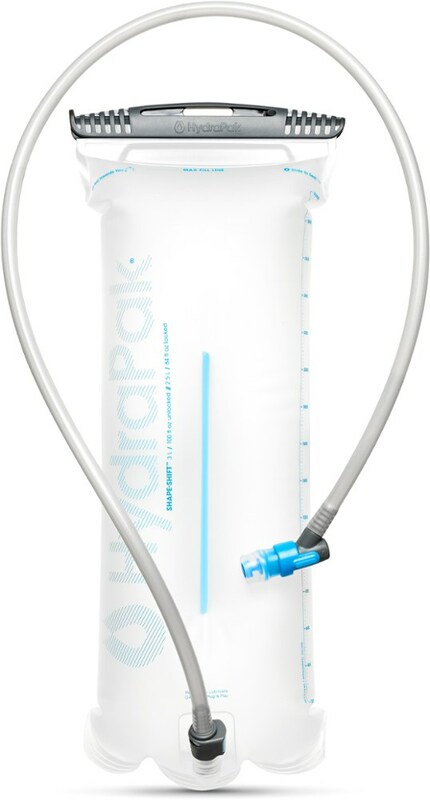 Goal: hydration system that works all the time, is comparatively durable, works with multiple water filtrations systems and components, and is the lightest weight. Bar none, the solution is the Platypus Hoser. The bag's mouth is small, but that's part of what makes it perfect for the Sawyer Squeeze filter. 2L seems slightly too small for my purposes, but the 3L is GREAT! I am more of a hiker and less of a camper. 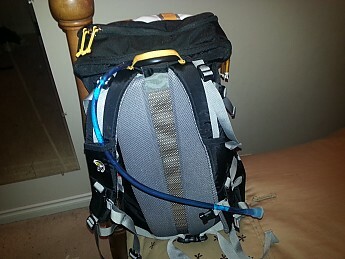 So my hydration system needs to be more for an athletic backpack that takes a beating. In other words, I would be more forgiving if my hydration system was not perfect for camp. So, I was thrilled to discover through many miles and camps that the Platypus Hoser works fabulously well in both environments. Woo-hoo! My Water System: I look at water storage and filtration as an end-to-end system. I think this creates both an economy in weight as well as an efficiency in how water gets used both on and off the trail (think time-savings when filtering as well as getting out of camp). At the user-end of my system you'll find the Platypus Hoser. At the acquisition-end I use the Sawyer Squeeze Water Filter Plus with a 64 oz bag. I connect the Sawyer bag to the filter, then I use a tornado tube to connect either the 3L bag from my Platypus Hoser or the 2L Platy bottle that I use in camp. In this way, I can quickly prepare almost 7 Liters of water when I get to camp (3L Hoser bag in my pack and ready for the next day + 2L Platy bottle + almost 2L Sawyer bag). This means I filter only once a day AND I have tons of water for any imaginable use while I'm in camp. Clearly, dumping the excess water while breaking camp takes no time at all. Best of All Worlds? Strangely enough, I think the Platypus Hoser system is really the very best option, even though it's not the newest or most expensive. The only thing that other systems seem to do better is to have large openings to pour water into. Hmmmm... that also adds quite a lot of weight and it creates new places for a bag to fail (leak). So to reduce exposure to leaking, and to maintain the lightest bag system, it seems that the Hoser takes away the prize! YMMV, though if you subscribe to the KISS rule then the Hoser may be worth your consideration. Hope that helps. Happy hiking! Great review...very helpful as well as thorough. Thanks Michael. This is one of those solutions that keeps passing the tests of time and grind. Since writing this review I've put another 300 trail miles (or so) into this without any need for repair or replacement. The filtration system also just keeps on tickin'. I'm totally happy with it, and I have to keep on recommending it. Happy hiking! One way in and only one way out. This was my first Platypus I bought for backpacking and at first I enjoyed it, but after testing it in the field I did not like it. There is only one way to fill the bag and it's at the bottom where the tube connects. This became a pain. Platypus makes another bladder for this. It was probably right next to this one where you bought it. It's the Platypus Big Zip SL. Hope that helps. 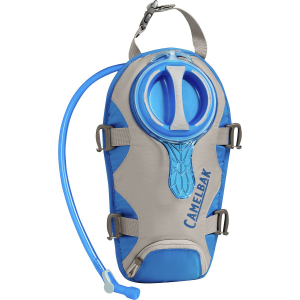 I think it was a few dollars cheaper than the Camelbak, which is why I bought it. So far so good. The small opening is hard to fill from a stream, but carrying another bottle or a mug solves that problem. If you use iodine for water purification, it will stain it yellow. I also have gotten a lot of dirt stuck in the bite valve... I don't really care, but I can't get it out. I bought the 2 liter and usually carry one other one liter bottle along with it. I didn't want to get any larger because it takes up space in my pack and requires taking off and repacking my pack to refill, whereas my water bottle holders are on the outside and easy to reach. I've used it on 8 days worth of backpacking now (two two night trips, one 3 night trip) and it's holding up well. No trouble cleaning it so far. The bite valve seems to get dirt stuck in every time I set my pack down. I don't really care, but it's really hard to get out. It doesn't affect the functionality though. I suppose this could be avoided if I were more careful about not letting it drag on the ground when I put down my pack. The narrow opening makes it almost impossible to fill from a small stream — this isn't an issue for me since I carry another bottle, which I fill and then pour into the bladder. I think Platypus makes another bladder with a big opening if that's a concern for you. I have the 2 liter Hoser, easy to fill, no leaks and no bad aftertaste. Went to Philmont, have had second thoughts about the bladder. It started leaking on the 2nd day and by the 8th day. I just threw it away. Won't order another. Super light and simple -- so extra handles, caps, valves and covers that just add weight. Also, no leaks from bite valve. Water tastes so good that on my last trip my son was drinking from my reservoir because he said his (blue one) was giving off a plastic taste. Now I'm upgrading all my reservoirs to Hosers. Great product at the right price. Great value and light weight. This is by far the best bang for your buck water reservoir out there. I purchased the 3.0L Hoser and can tell you that it's a beast. It can take a beating and not leak. If you are trying to decide on a water reservoir and are looking at the Platypus Hoser go ahead and take the plunge, you will not regret it! I love this water bag. I hiked the AT once (only about 40 miles) and it kinda sucked not using this because I did not have it at the time I hiked. I would just have to get my Nalgene out of my pack each time and that blew. Now I don't have to do that anymore I can just take a sip from the Platypus.